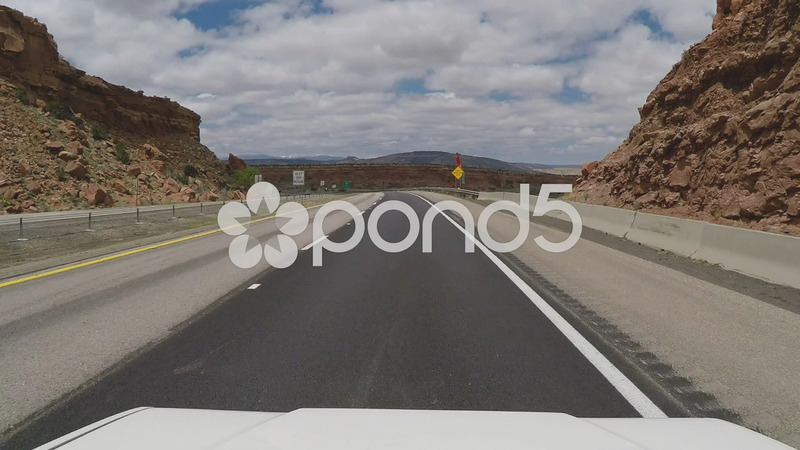 Description: Viewpoint of vehicle and driver being passed by a police car on Interstate 40. Point of view driving shot of a Laguna squad car zooming by. Part of a series of clips by ChromaVid featuring point of view driving stock video.